1. The issuance of the five-year review, which includes EPA’s decision to defer a determination of the protectiveness of the remedy in the Upper Hudson River until more years of Hudson River fish tissue data are gathered. 2. In a separate action from the issuance of the five-year review, EPA also issued a “Certification of Completion of the Remedial Action” today to GE (General Electric Company) for activities it conducted that were components of the remedy selected for the cleanup of the Upper Hudson River. This is the second certificate in a series of three – the first was issued in 2012 and the third is not expected to be available to GE for more than five decades. Consequently, the third certificate, the “Certification of Completion of the Work” is not being contemplated and is not a part of today’s announcement. “EPA greatly respects and honors the engagement of the many concerned individuals and organizations who are so passionate about restoring the iconic Hudson River and we look forward to continuing these important partnerships with the River’s many stakeholders,” EPA Regional Administrator Peter Lopez said. “Many of us share a personal connection with this living resource, and value its connection to commerce, recreation, tourism, the arts and more. This work is critically important not only for today, but for future generations,” Lopez continued. “We take this effort seriously. No person or organization will be let off the hook for the contamination of this historic and valuable waterway,” Lopez concluded. EPA has finalized its second five-year review of the Upper Hudson River remedy. The review, which is required by the Comprehensive Environmental Response, Compensation, and Liability Act (commonly known as Superfund), has generated intense statewide interest and has involved federal, state and local officials, agencies, environmental groups, and the general public to unprecedented levels. In the report, EPA is deferring a determination about the protectiveness of the remedy in the Upper Hudson River until more years of Hudson River fish tissue data are gathered. The EPA made its decision after careful consideration of comments provided by the New York State Department of Environmental Conservation (NYSDEC), federal natural resource trustees and key stakeholders. In the five-year review report, EPA decided to defer conclusions about whether the remedy in the Upper Hudson is, or will be, protective of human health and the environment since there is not enough post-dredging fish data at this time to draw a scientifically-reliable conclusion. Lowering PCB levels in fish tissue over an extended period of time (decades) is an objective of the remedy selected by EPA and agreed to by New York State. Most experts agree that it will take as many as eight years or more of post-dredging fish data to reliably establish a trend in the levels of PCBs in fish. EPA will continue collecting and evaluating water, sediment, fish and habitat data necessary to track the recovery of the Upper Hudson River, as it continues necessary, additional, environmental investigations of the Upper Hudson floodplain and supplemental studies of the Lower Hudson River below the Troy Dam. EPA took its time on finalizing the five-year review in order to allow the agency to consider the extensive public input offered in response to the June 2017 proposed five-year review report and engage in a comprehensive consultation with NYSDEC officials and its consultants. Over the course of 2018, EPA worked collaboratively with NYSDEC in reviewing the data from approximately twelve hundred sediment samples taken by the state in 2017 from the Upper Hudson River, along with the results from some 215 sediment samples taken by GE in 2016 under EPA direction. Available fish tissue samples were also analyzed in combination with sediment samples in an effort to review the effectiveness of the remedy (which includes dredging and natural attenuation) in the Upper Hudson in advancing the River’s recovery. Both sediment and fish data were reviewed by river reach (pools in the Upper Hudson separated by dams), as well as by river section, as defined in the 2002 Record of Decision (ROD). The analysis by river reach was preferred by NYSDEC and provided the ability to look at fish populations within each reach to determine if they were showing improvement after dredging, or if populations in certain reaches (pools) were lagging behind what was projected in the remedy. Additionally, the individual sediment data points were plotted and analyzed by reach and river section to determine if areas of higher concentrations (“hot spots”) remained in the Upper Hudson after dredging. Data was analyzed by both total PCB concentration as well as by “Tri Plus” PCB concentration. “Tri Plus” concentrations represent an important subset of total PCBs known to bioaccumulate in fish (and any person or animal eating the fish), thus serving as an important metric for assessing the “protectiveness” of the remedy in promoting recovery of the Upper Hudson. 1. The dredging was very successful in removing the contaminated sediments that exceeded the thresholds EPA set for dredging in the Upper Hudson. Collective analysis of both the GE and NYSDEC data show that over 99% of the sampled locations are below the surface sediment criteria set in the ROD, in both dredged and non-dredged areas. 2. There are no areas that would be characterized as “hot spots” in the Upper Hudson. Instead, only three very localized “areas of interest” were identified with slightly elevated levels of PCBs. EPA will specifically track these areas with NYSDEC as it continues its broader, ongoing monitoring to evaluate the “protectiveness” of the dredging and natural recovery in the Upper Hudson in the years ahead. This ongoing monitoring will assist EPA in determining whether additional active remediation should be required of GE in the Upper Hudson over time. 3. There has not been substantial recontamination of dredged areas in the Upper Hudson. While some movement of sediment between dredged and non-dredged areas is expected, it is not viewed as an obstacle to achieving protectiveness and will be monitored over time, along with other conditions. 4. Post-dredging fish, water, and sediment data results are inconclusive indicators of remedy “protectiveness” at this time. More time and monitoring is needed. EPA will continue to review fish data collected through semi-annual sampling for a number of years before it can make reliable conclusions on the effectiveness of the remedy (the combination of dredging and natural attenuation) in the Upper Hudson. In a distinctly separate action from the issuance of the five-year review, EPA also issued a “Certification of Completion of the Remedial Action” today to GE for activities it conducted that were components of the remedy selected for the cleanup of the Upper Hudson River. Specifically, the certification confirms that the dredging, capping, habitat restoration, and deconstruction / decontamination of the sediment processing facility conducted with EPA oversight between 2009 and 2016 (at a reported cost to GE of more than $1.7 billion) were properly performed in accordance with the 2006 legal agreement (Consent Decree) between EPA and GE. This certification does not cover, and does not in any way release GE from, any obligation to continue its operation, maintenance and monitoring (OM&M) responsibilities under the Consent Decree (which is specific to the work in the Upper Hudson) - a responsibility GE will bear for decades. The issuance of this certification is not based on the findings of the five-year Review, including the protectiveness of the remedy; rather it is an acknowledgement that certain activities were carried out by GE, as required. Under the terms of the Consent Decree, GE can be compelled to conduct further actions, potentially including additional dredging, should EPA conclude in the future, based on the semi-annual sampling that will occur under the ROD and any other relevant information, that the remedial action carried out in the Upper Hudson is not protective of public health or the environment. The “Certification of Completion of the Remedial Action” is the second of three certifications that GE may request under the Consent Decree and is not the certification that confirms that all work required under the Consent Decree has been completed; the “Certification of Completion of the Work” would not be considered or issued for many decades. Importantly, the term “Remedial Action” is explicitly defined in the 2006 Consent Decree as not including the Operation, Maintenance and Monitoring (OM&M) phase that follows the dredging. Rather, the term only refers to the dredging, capping, habitat restoration, and deconstruction/decontamination of the sediment processing facility that GE conducted with EPA oversight between 2009 and 2016. The OM&M period is when much of the natural attenuation is expected to occur. As stated previously, EPA’s issuance of the “Certification of Completion of the Remedial Action” strictly adheres to the binding court-approved requirements of the 2006 Consent Decree, which states, “If EPA concludes … that the Remedial Action has been performed in accordance with this Consent Decree, EPA will so certify in writing to [GE].” In early 2017, GE requested that EPA issue the certification. Under the Consent Decree, EPA was to have responded to that request within one year (January of 2018). EPA delayed its response to GE’s request for the certification until EPA completed the collaborative assessment of sediment and fish data with NYSDEC and finalized the second five-year review report. Dredging the River is not the only work that EPA is advancing to clean up the Upper Hudson. Comprehensive investigations to assess and mitigate PCB contamination that may be present in sediment carried onto local floodplains and landlocked segments of the old Champlain Canal are actively underway. EPA is also working closely with NYSDEC to advance assessment of the Hudson River from the federal dam in Troy to the mouth of New York Harbor, and to determine what additional studies should be performed. The ongoing comprehensive study of the floodplain in the Upper Hudson River (including the landlocked segments of the old Champlain Canal) is being performed by GE under a legal agreement with EPA. The study area includes the 43-mile stretch of the Hudson River floodplain from Hudson Falls to Troy, New York. This study includes an evaluation of human and ecological risks, and an assessment of cleanup options for the area. As part of the ongoing floodplain studies, property owners are being contacted to arrange for access to sample and assess parcels of land. The sample results are used both to decide if any immediate action should be taken and to inform EPA’s remedial action decision for the floodplains. To date, GE has collected approximately 8,000 soil samples from more than 500 properties in the floodplain. Where elevated concentrations of PCBs are found, GE, under EPA oversight, has taken appropriate, interim steps to reduce the potential for people to come into contact with PCBs. These actions typically include temporary soil cover with grass turf or signage, pending the final cleanup decision for the floodplain. Before EPA finalizes a cleanup plan for the floodplain, it will propose a plan and make it available for full public consideration. EPA will then decide on the final cleanup plan with input from the public, as it did for the dredging project in the Upper Hudson. As part of the process, EPA is talking to local leaders and others who have asked for help in fast-forwarding floodplain remediation in support of economic development and quality of life projects. EPA is reviewing these requests with an understanding of the benefits of such an approach for strengthening the fabric of local communities along the River. Some community members have expressed concern over the granting of a “Covenant Not to Sue” to GE as part of EPA’s issuance of the Certification of Completion of the Remedial Action. A “covenant not to sue” is a promise by one party to the settlement of a lawsuit that it will not sue the other party for certain specified claims, provided the other party fulfills its end of the agreement. Under the 2006 Consent Decree, GE is entitled to receipt of a “Covenant Not to Sue” in concert with the issuance of the “Certification of Completion of the Remedial Action”, acknowledging it has fulfilled specific obligations under the Consent Decree. EPA’s covenant not to sue GE again for cleanup of the PCB contamination in sediments of the Upper Hudson River does not mean that GE is relieved of all further responsibilities in the Upper Hudson River, or elsewhere in the Hudson, under the Superfund law or the Consent Decree. The “Covenant Not to Sue” does not extend to the Upper Hudson River Floodplain or the Lower Hudson River, nor does it protect GE from the obligation to perform additional work in the Upper Hudson, including potentially more dredging, if EPA deems the remedy is not protective of human health or the environment and a “reopener” is triggered. 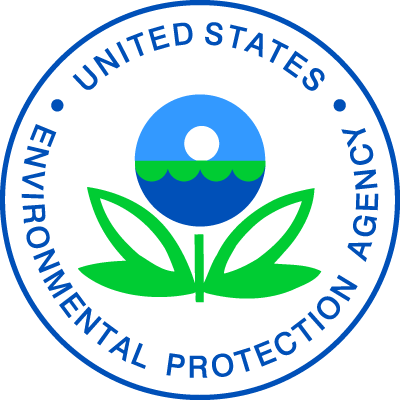 Significantly, the 2006 Consent Decree includes “reopener” provisions under which EPA can require GE to perform additional remedial work, if specified conditions are met. The reopener can be triggered if EPA receives new information which, along with any other relevant information (including prior sampling results, etc. ), causes EPA to determine that the remedy will not be protective of human health or the environment, and that specific, additional work will address or respond to that lack of protectiveness. There has been some interest expressed in having GE dredge the navigational channel between Fort Edward and Troy (known as the Champlain Canal) to strengthen commerce in the area. While GE did have responsibility for performing PCB cleanup in certain sections of the navigation channel under EPA’s 2002 Record of Decision (ROD) it was not obligated to clean out the entire channel. Some 450,000 cubic yards of sediment were removed from parts of the navigation channel by GE pursuant to the EPA ROD. Regular maintenance dredging of the navigational channel is the responsibility of the New York State Canal Corporation, which is charged with managing the Champlain Canal system. In the past, the navigation channel was dredged on a regular basis to maintain the authorized depth (typically 12 feet). Only limited maintenance dredging has occurred since the 1970s when it was acknowledged that PCBs were present in substantial portions of the channel and that dredging of the PCB-laden sediment by the NYS Canal Corporation would have been more difficult and costly. EPA’s 2002 ROD specified the details of the PCB cleanup plan for the Upper Hudson, including the criteria for where dredging would occur. Simply said, in any place within the navigation channel where those criteria for PCB removal were met, dredging occurred. Conversely, in parts of the channel where PCB levels did not meet the ROD removal criteria, dredging did not take place. To facilitate post-cleanup maintenance dredging by the NYS Canal Corporation, EPA ensured that the remedial dredging was deep enough to either reach a "clean" layer (less than 1 ppm of PCBs), or to extend at least two feet deeper than the authorized channel depth. Thus, when the Canal Corporation resumes maintenance dredging, the material to be dredged in these portions of the channel would either be “clean” or, at a minimum, would have dramatically lower levels of PCB contamination, making management of the dredged materials easier and potentially less costly. In EPA’s view, the NYS Canal Corporation should now be able to seek appropriate permits for and commence maintenance dredging at any time.